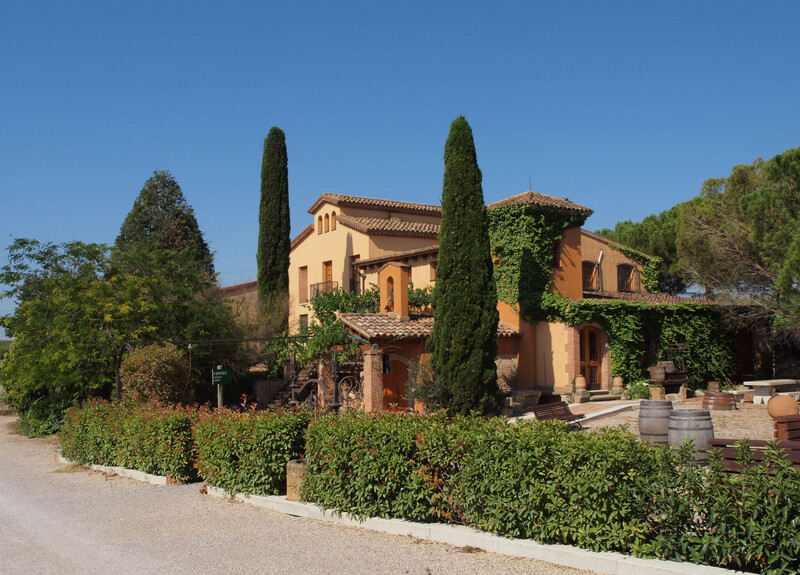 In the heart of the Penedès wine region, you’ll find Castellroig. A family, rich with historic value has spent generations perfecting wine and collecting an impressive and extensive collection of wine making and other historic tools and artifacts that would challenge most wine museums. You begin your visit by taking a journey through time. Walking via the path through history, you’ll find vintage ploughs, pumps, pottery, barrels, carts, and other old wine making tools. The rust of the metal, and wear on the pottery allow you to imagine how it used to be. After your leisurely stroll along the path through time, you come upon a serene sitting area and some beautiful views. As you look down and out, you see cliffs of stone to your left, meticulous rows of vines below, and in the distance, row after row, plot after plot of vines. In the far distance, you can see the mountains and gain a better understanding of the how the land and its surroundings contribute to the vines and the terroir. Once you have filled your eyes with the beautiful views of the natural surroundings, take a stroll down the stairs and make your way under the archway of grapevines back to the main building. Here, you will find more history, as well as the wine. 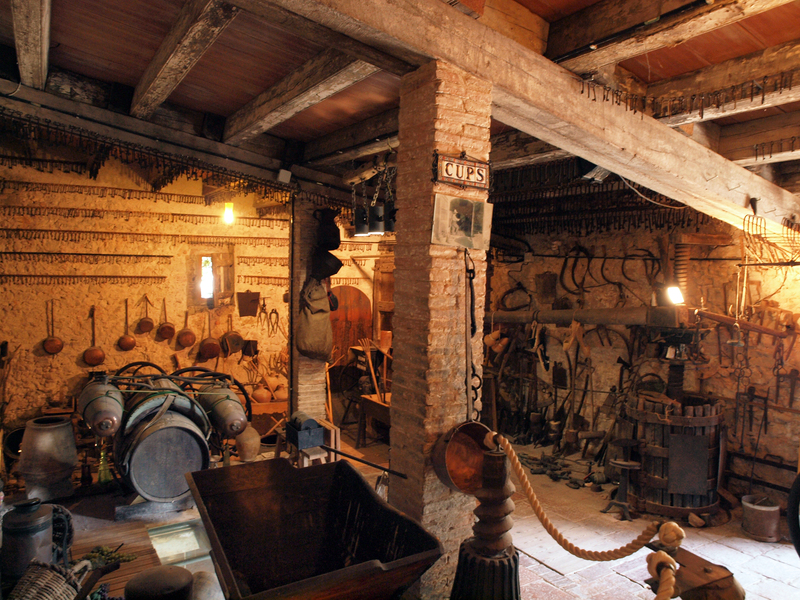 Before you jump into tasting, Castellroig offers a very educational tour of the museum’s interior. Room after room, you will find another slice of history. A 3,000 piece vintage key collection, old fermentation vats which were used in the 18th century to stomp grapes from above, more pottery, old 1,000 litre barrels, and more. For decades, Marcel (the grandfather) has been collecting pieces to add to the collection, as he continues to do today. As you make your way through the maze of rooms, you come upon an old chapel, which Castellroig has dedicated to Sabaté i Coca Gran Reserva Magnum 2006 and Robert Parker (a famous US wine critic), who rated this vintage 93 points, and put Castellroig on the international wine map. Since then greater fame has been achieved with 3 Catellroig Cavas amongst the 50 Great Cavas 2017 namely Castellroig Brut Nature Reserva 2012 (95 pts), Sabaté I Coca Reserva Familiar 2008 (93 pts) & Castellroig Brut Nature Gran Reserva 2010 (92 pts) Lastly, you walk through a large oak barrel and as you come out the other side, you see where history meets present day technology: the fermentation room. Now, the winery prefers to utilize large stainless steel ferment tanks and other modern technology, but you cannot forget the past. Although the family has embraced technology, they have kept some of the traditional wine-making and viticulture techniques. The family’s ecological perspective encourages them to avoid irrigation and to hand-harvest all grapes. In addition, they soft press the first 60% of the juice and sell the remaining 40%, in order to ensure quality. The family is from the Riudebitlles Valley, and has been growing grapes for four generations. Prior to the establishment of the label in 1985, the family, similar to others in this region, sold its grapes to a larger company. After finishing his studies in enology and agricultural engineering, Marcel completed his first vintage in 1986 using some of the grapes, normally sold to a large wine making company. Because he chose to begin making his own wine, the company cancelled the contract to buy grapes, and Marcel was forced to produce wine using all of this family’s grapes. The family quickly bought this cellar, made it their own, and began making quality wine with the family’s vineyards. The vineyards date back to 1914, with the oldest vines being Xarel-lo.